Our RYA Competent Crew course is a great place to start your journey – especially if you already suspect you will love sailing. No experience is assumed and you're sure to have fun while you learn. The Competent Crew course is ideal if you aspire to be an active crew member on board a sailing yacht. 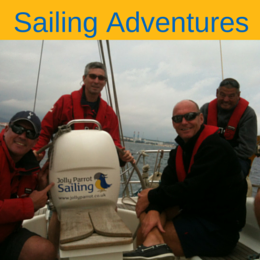 It's a particularly popular choice for those who sail with friends or family and want to know more about what they are doing and, most importantly, the safest way to do it! 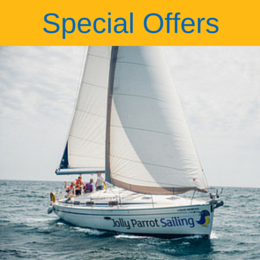 On successful completion you'll be awarded the RYA Competent Crew certificate. Sunday to Friday: 20:00 hrs on Sunday evening until 16:30 hrs on Friday afternoon. Tuesday to Sunday: 20:00 hrs on Tuesday evening until 16:30 hrs on Sunday afternoon. Once you’ve completed the RYA Competent Crew course, the perfect next step is our RYA Day Skipper Fast Track course which will allow you to charter and skipper yachts all around the world! Note: If you already know that you love sailing and have longer term ambitions, you might want to consider our Novice to RYA Day Skipper programme, which offers the RYA Competent Crew, RYA Day Skipper Theory and RYA Day Skipper practical courses in one 14 day experience.